What started off as a very sad and all too common situation turned out to be a happy Easter ending. 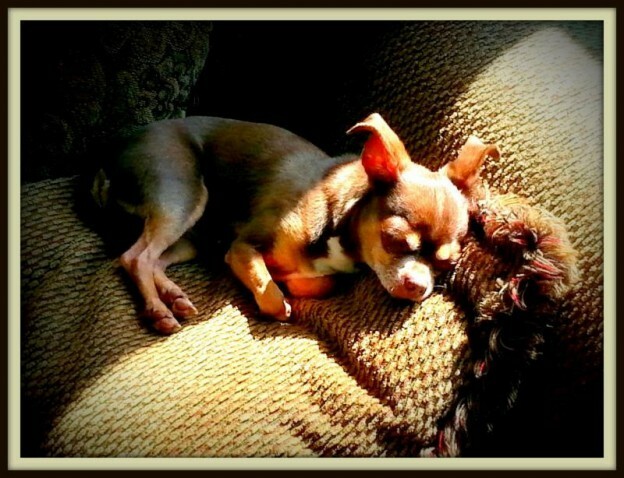 Ms. Lily the Chihuahua was given up at 10 years of age when her family decided they no longer had time for her. Fortunately for this sweet little girl, the Naperville Area Humane Society took her, giving her new mom and dad the chance to fall in love with her. Ms. Lily was named for the Easter holiday she was adopted on, and she is now ready for the next phase of her life enjoying endless loving care and (hooray!) daily visits from her adoring nannies at Out-U-Go! Big hugs to you Lily, Janice, and Darryl…we are so happy for you all! This entry was posted in Naperville News and tagged adopt-a-pet, adoption, animal shelter, Chihuahua, Easter, naperville, Naperville Area Humane Society, senior dogs on June 3, 2014 by Laura Rumage.